A recently departed soul speaks from heaven about his amazing experiences on the other side. The unseen author of this book tells us of life’s true purpose and urges us to make the most of our sojourn on earth. He warns us that we are fast approaching a turning point, which could lead to an age of enlightenment and peace or to a future none of us wants to see. If we act now, we can still turn things around...but we need help from heaven. This true story of a soul’s life after death will change the way you look at life — and death. 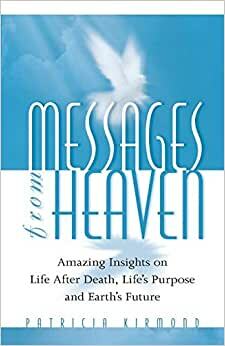 Start reading Messages from Heaven on your Kindle in under a minute. 5.0 out of 5 starsAn amazing book, must have! This is truly an amazing book. I bought this book as a gift for a friend, but couldn't put it down when I started reading it! So I bought a copy for myself too. I am familiar with the Ascended Master teachings but what makes this book unique is that it is written "by" someone who has just made his transition and can give first-hand information about life in the spiritual realm and life on earth. It is full of practical details about day-to-day living, as well as more high-level spiritual teachings. The truth and honesty is oozing from every page and everything rings true to my heart. I also love the comments made by the wife of the author, which add some nice perspective and are free and clear of any ego-involvement, very refreshing! Please buy this book as it is a way for the author to balance his karma. The more people buy and read the book, the quicker he earns his ascension! This is an extraordinary dispensation from the Ascended Masters, please make use of it! 5.0 out of 5 starsWonderful glimpse into the afterlife and how it relates to violet flame and St. Germain! This book truly conveys deep meaning and pretty detailed information on the afterlife and what we can expect. I think it's neat how the main character is given permission to share his afterlife exerience with those of us who are still embodied. It's not just a near death experience, it's experiences of actual living on the other side which are shared with us. Incredible!! Most after life writing talk about all the fluff and beauty but this one is refreshing in that it gets into the nitty grity of how things look to them here on planet Earth from the perspective of those up there whose eyes are a little more clear then ours.